HB2 notwithstanding, the modern movement is alive and well in North Carolina. And what better venue could there be for an exhibition of the virtues of that aesthetic than Mario Botta's 2010 terra cotta-clad Bechtler Museum of Modern Art in forward-thinking Charlotte? The House that Modernism Built looks not just at modernism in all its manifestations from 1920 to 1980, but also at how design affects our daily lives today. Certainly, it'll appeal to architects, designers and engineers, but there are more than enough paintings, sculptures, jewelry, and decorative art - 200 items, in fact - to satisfy us all. "It's for everybody - we hope they come away with a greater respect for the objects they work or live with," says John Boyer, the museum's president and CEO. "The idea is to stop and look and think through the process of design and develop their own qualities of examination and discernment." The exhibition came about after a breakfast meeting between Boyer and Jack Schreur, vice president of the Herman Miller Collection. The Bechtler has its own substantial collection of midcentury modern art, but Boyer was looking for ways to work with Schreur. By the time breakfast was over, he was ready to turn the exhibition over to curator Jen Sudul Edwards. "We borrowed excessively from Herman Miller, with entire pieces of furniture shipped," Edwards says. "Also, we borrowed prototypes from the Eames office." Charles and Ray Eames examining sling locations on an Aluminum Group Lounge Chair, 1958. Photographer Marvin Rand. © Eames Office LLC (eamesoffice.com). 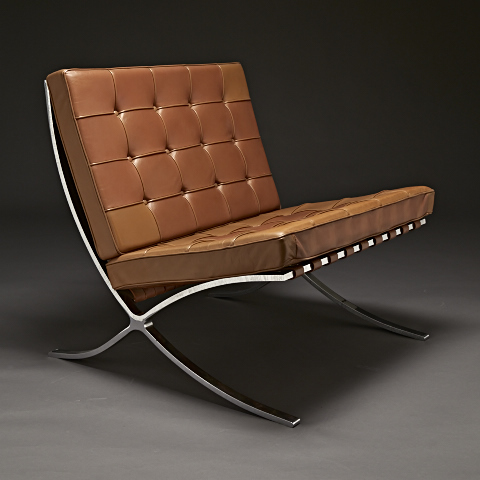 Eames® Aluminum Group Lounge Chair. 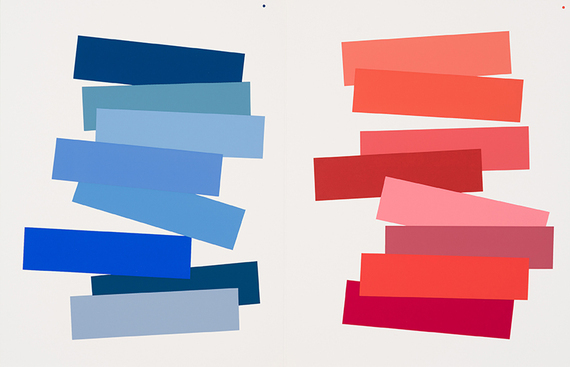 Image courtesy of Herman Miller. They looked also to Alexander Girard Studios, The Henry Ford, the Gregg Museum of Art & Design, Voya Financial and private lenders around the country. 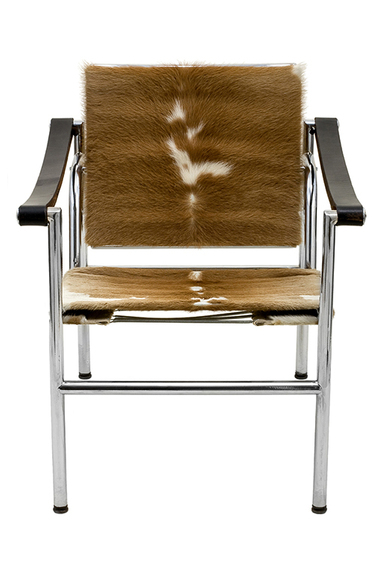 Artists and designers include Roy Lichtenstein, Eero Saarinen, Florence Knoll, Charlotte Perriand, George Nakashima, Mies van de Rohe, Gilbert Rohde, Robert Propst, and Marcel Breuer. 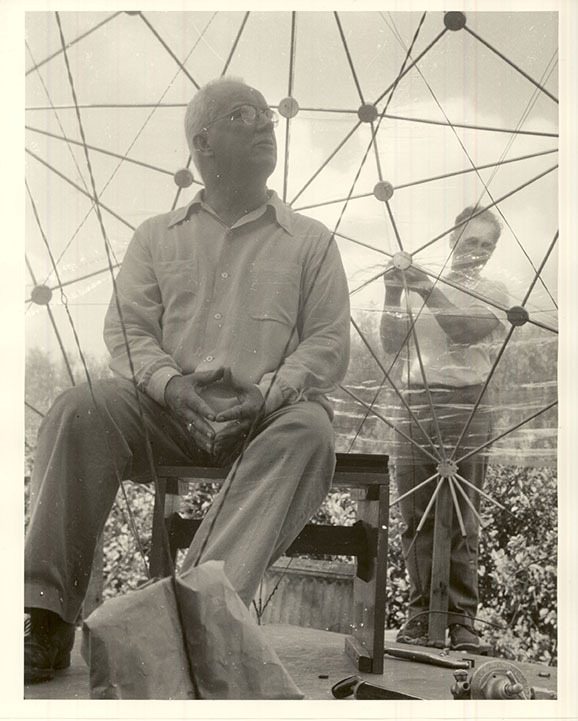 Among the designs represented are the Action Office II designed by Robert Propst and a geodesic dome that celebrates Buckminster Fuller's design innovations during his tenure at Black Mountain College. of the Western Regional Archives, State Archives of North Carolina. "We were looking at the basic quest of designers who thought of a problem and responded to it with a very broad approach - they were all sharing a simple philosophy," Edwards says. "And the schools they attended - Cranbrook, Black Mountain, the Bauhaus, and the Institute for Industrial Arts in Helsinki - they were the touchstones for finding the artists and designers in the collection." The exhibition illustrates the different approaches to creative work that was shared by artists and designers during the middle years of the 20th-century. "There was a utopian philosophy that used all the resources available to develop a solution that's longstanding and broad-reaching and expansive," she says. But theirs was hardly a monolithic philosophy. "The Farnsworth House was built about same time as the Eames House, and they couldn't be more different - but both relate to nature," Boyer says. "It depends on the circumstance and the designer." HB2 can't last forever, and this show won't either. See it before it closes on Sept. 11. J. Michael Welton writes about architecture, art and design for national and international publications, and edits a digital design magazine at www.architectsandartisans.com, where portions of this post first appeared. He is architecture critic at the News & Observer in Raleigh, N.C., and author of "Drawing from Practice: Architects and the Meaning of Freehand (Routledge: 2015).